Twelve years ago today our fourth child and third son, Noah Gabriel was born. 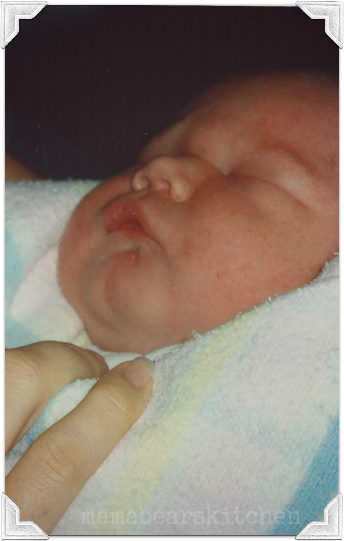 He was a perfect, chubby baby weighing in at almost nine pounds. Sadly, our precious baby boy died when he was only 11 days old. After a healthy pregnancy, I was typically overdue with my baby. On the fourth day, I fell sick with a vomiting virus. It seemed to be one of those 24 hour bugs that hit you hard, but leave without causing too much harm. 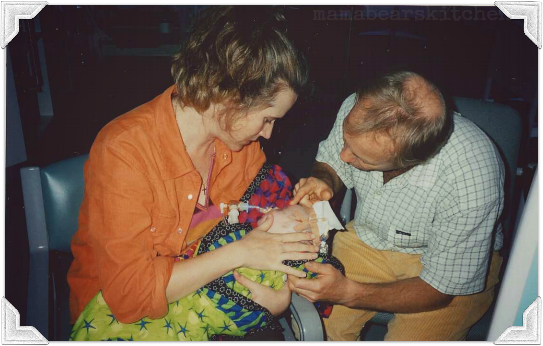 That night, as a precaution, my husband and I went into hospital to get a check up on the baby. 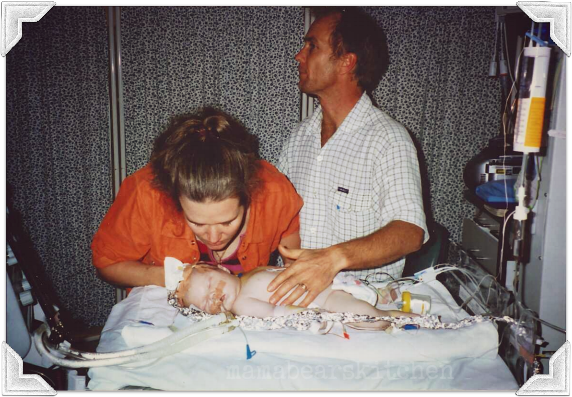 Everything seemed ok, and as I had started dilating, we went to a larger hospital where I would give birth. I laboured all night….not an easy thing to do when you have been vomiting all day and feel terrible! 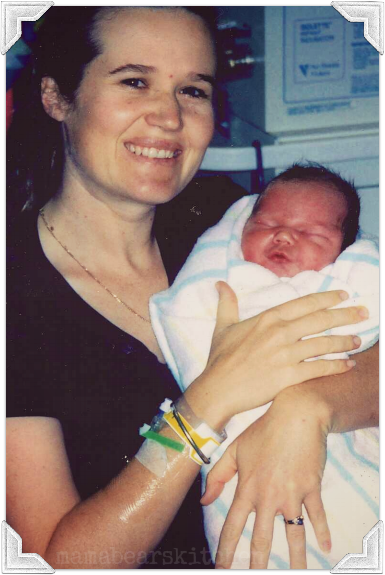 But at 7:31am the next morning, on Friday 7th June 2002, our gorgeous, amazing, beautiful son came into the world and all nausea and sickness was forgotten….I was one happy Mama bear. Noah looked a lot like his older brothers and very similar to all of the children. Just perfect. As is fairly typical for newborns, Noah fed well and slept most of the day. By the first evening however, a nurse noticed that his temperature was a little lower than it should be. He was snuggled into bed with me, but unfortunately he didn’t warm up enough. Noah was moved to the special care nursery that first night. As the early days passed, Noah continued to sleep and was becoming too groggy to feed. Eventually I was unable to breastfeed him and he was fed my milk through a tube. Soon after, this became too hard for him and he was fed intravenously. It was intriguing for me to see our hefty big boy in a humidicrib in the same room as tiny little premmie babies struggling for life. He looked very much out of place. As his condition gradually worsened over the first week, it was becoming clearer that the virus I had contracted had passed through to our son in the womb on the last day of my pregnancy. 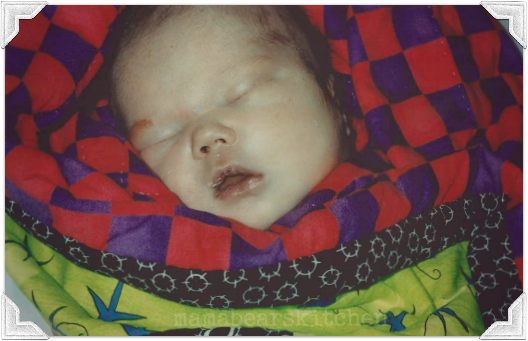 By day 7 he was airlifted by Rescue helicopter to a city hospital two hours away. This was perhaps the beginning of the trauma that would soon engulf us and change our family forever. Watching your tiny baby being strapped into a massive glass ‘tank’ and wheeled away from you to go into a helicopter of all things, is quite surreal. 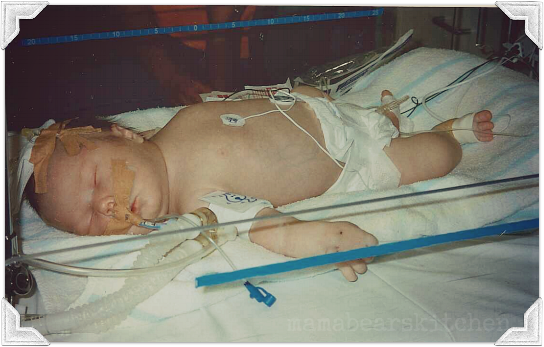 We had no choice but to drive up and meet him at the hospital.What followed next was a whirlwind of doctors, tubes, chemicals, tests, medicines, steroids, drugs and a massive chubby baby out of place in a room full of even more fragile, tiny babies the size of Coke cans. I can’t adequately describe what it is like to watch your precious baby being poked and prodded and filled with so many tubes that the doctors ran out of places to insert them into his little body. I didn’t know whether he would get better and we would all go home with grateful hearts and a good story to tell, or if he would die and my worst fear would become a living nightmare. After a few more days of deterioration, it was becoming clearer that our son was one very sick little boy. The doctors tried everything, even reversing the direction of the blood flow around his little weary body. Eventually his vital organs began to shut down and he was being kept alive by a machine. We were encouraged to hold our son once more while he was still breathing, before they took all of the tubes out of him. By this time he smelt like a concoction of drugs and holding him with all of the tubes was really difficult. It had been so long since I had held my son that I just wanted to hold him without all of the obstruction. We knew that once the tubes were out, he would die. When I have been pregnant with all of my children, I have made each of them a quilt. They are usually never finished in time for the birth, but amazingly, Noah’s was the very first quilt I had finished before he was born. 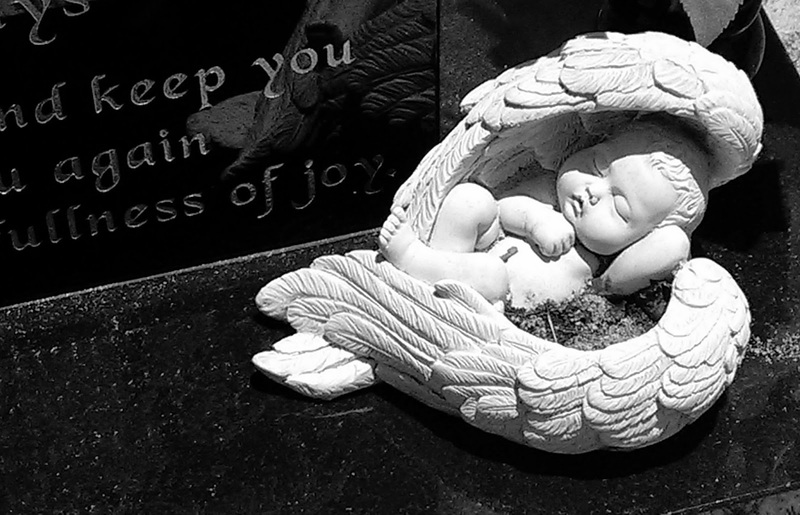 He was wrapped in it just as he came into the world, and swaddled in it again as he took his final breaths and went home to be with Jesus, held in his father’s arms. It has taken me twelve years to be able to listen to this song again since our Noah died. Someone handed it to me at his funeral and incredibly, it is written for a newborn baby called Noah who went to Heaven too soon. I would love you to listen to it. Where’s the navigator of your destiny? Where is the dealer of this hand? 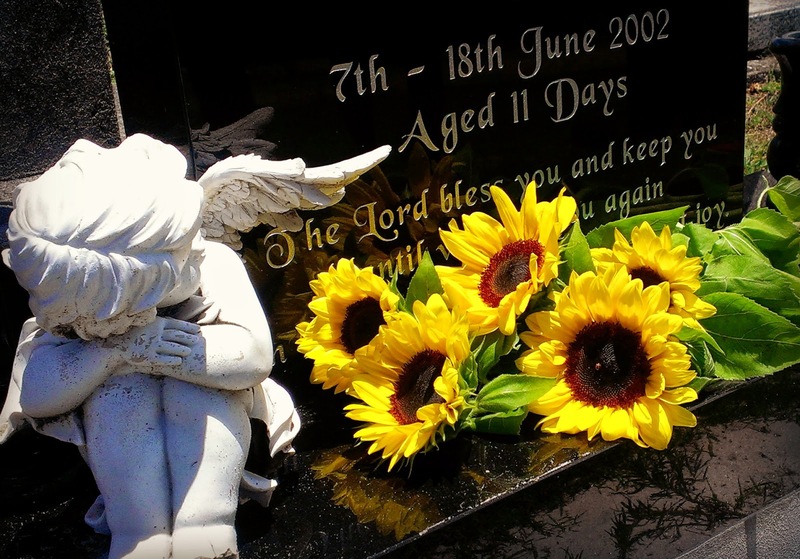 How does a mother bury her child? The whole world stops spinning. The sun, moon and all the stars cease to exist. Everything shuts down and all you can do is breathe in and out…in and out….You are completely, utterly and totally broken hearted. Everything inside you dies. You are stripped bare and thrown into a deep chasm that forever divides the rest of your life into before and after. As you writhe around in the pit, your whole body feels the onslaught of raw grief. You are physically in pain. Everything you ever trusted in is gone and you are left with nothing but agony. It is in this place of helplessness that I was confronted with a choice. 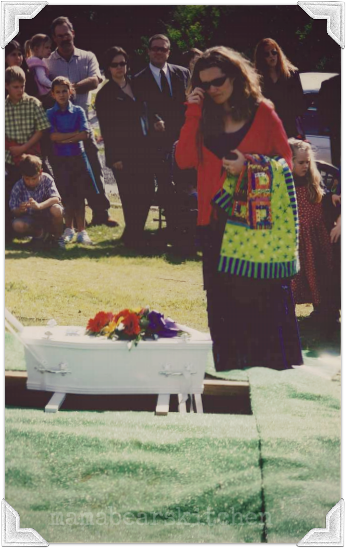 I knew very early on that I needed to make a decision to either turn away from God, whom I had trusted in my whole life, and blame Him for letting my baby die…..or flee into His arms and continue to trust Him even though He let my baby die. It didn’t take me long to choose. I knew that if I turned away from Him in anger, confusion and bitterness, I would die. You cannot carry around that much grief and still live. I also knew that God IS good…fundamentally, completely GOOD and He IS trustworthy…even in the dark, even in the excruciating agony of the worst loss imaginable. I made my decision to cling to Jesus, to allow Him in to rebuild my faith from the ground up…to sit with me in the darkness. To sit with me and cry with me and just to see me there all alone, even though I could not feel Him or see Him. I liken it to clinging to the mast of a ship in a terrible storm at sea, at night. You cannot do anything but close your eyes and hang on tight!! Trusting God is not easy. Sometimes it is the most difficult thing you ever do. Ironically, it is in this place of blind trust and complete surrender that the Comforter comes. I was in the darkness for a very long time, but gradually, the Lord took hold of my hand, helped me to stand…a bit wobbly at first…and led me lovingly out of the pit. He led me on a journey of a new, deeper, richer faith than I had ever known. He brought people into my life who had lost their own babies and knew all that I was going through. In later years He gave me the privilege of loving precious mothers whose little ones had gone to Heaven, who I have been able to care for, share my story with, and most importantly grieve with. The journey of grief is a life long one. It never ends. It is always with you. It is isolating and you walk it alone. No one else really shares your pain or the depth of your loss. God has allowed me to walk this path. It has completely broken me. It has also taught me how to trust in a Heavenly Father who sees my every tear, knows my every struggle and who has promised to walk every single step with me. 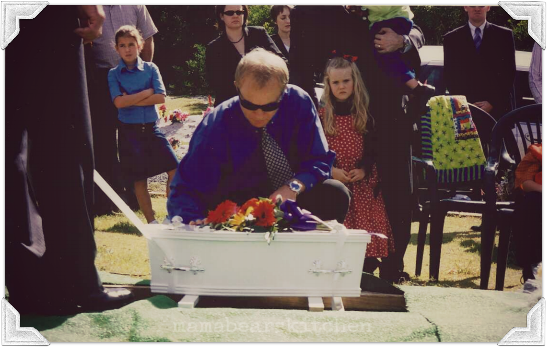 Living with grief is the subject of a whole book, not a blog post! Maybe one day, when all of my children have grown, I will put pen to paper to describe more fully what it is like living in the aftermath of the death of your child. For now though, I will give the happy ending to this tale. 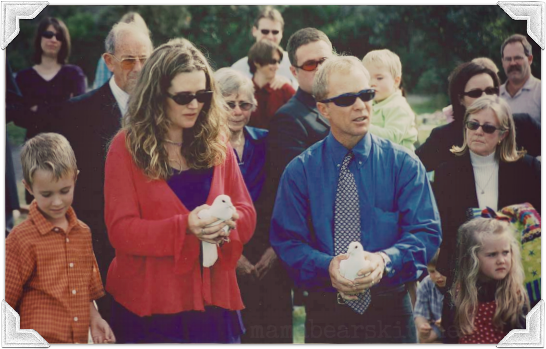 One year and three days after we buried our son, we welcomed a new shining star into our hearts and home. Our baby daughter Lillian was born. The gift of her life is perhaps the single most significant factor in the healing of my heart since Noah died. 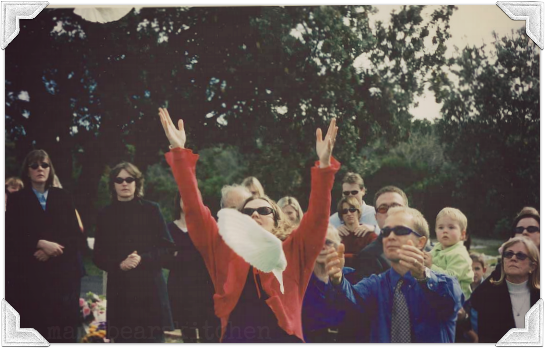 Having another baby in my arms brought intense healing, renewal, restoration and joy into our whole family. Since then we have been busy receiving four more beautiful daughters into our hearts and home. Thank you so much for taking the time to hear my story. It has not been an easy thing to do, especially on Noah’s birthday. 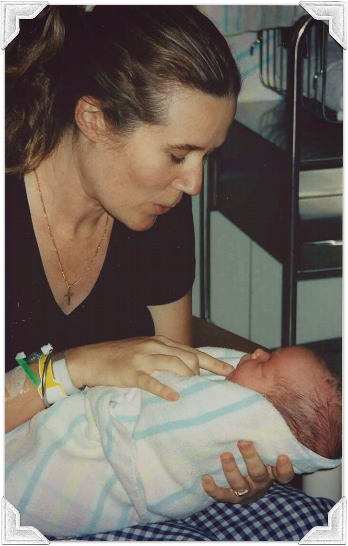 While I would never have chosen this path for my life, I am so grateful to have known my son Noah….if only for the shortest time. I am glad that I gave birth to him, breastfed him, held him, kissed him, spoke to him, loved him, saw his eyes and examined every part of his beautiful chubby body. He is my son. He will always be a part of our family. 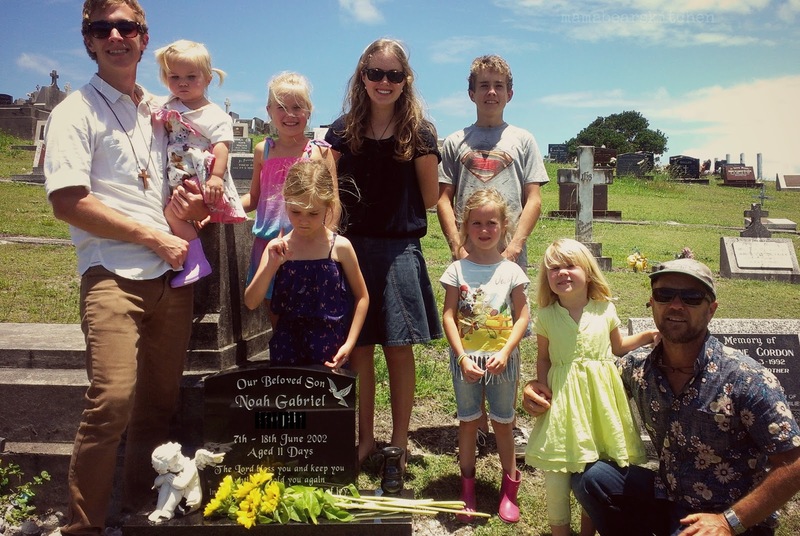 When people ask me how many children I have, I always say ‘nine’…’three boys and six girls. One of our sons lives in Heaven’. Anna, thank you so much for taking the time to share your little Noah with me. What a precious reflection and what a beautiful song. 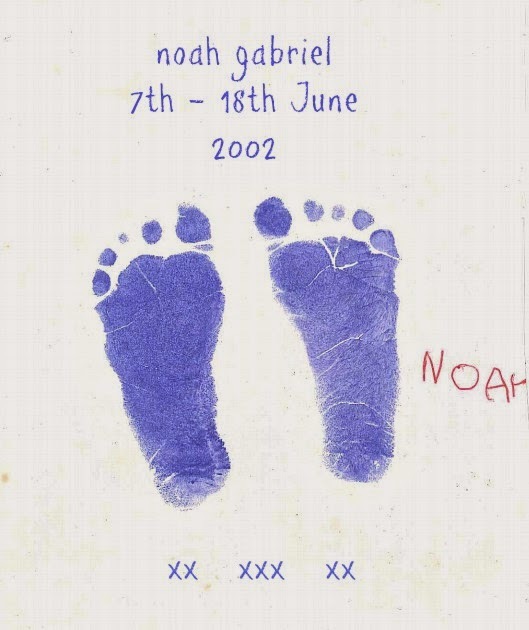 I do feel like I know little Noah so much better now and even grieve that I also didn’t get to know this beautiful son of yours. I must admit that as I write this I have tears streaming down my face, for you, your family and Noah. The song “Hello, Good-bye” was certainly written for you. The photos paint a thousand words too. Your journey of faith is truly inspiriting. I know that in you sharing your story you have blessed so many. Thank you again for being such a truly beautiful friend. Your honesty, humility, caring and loving ways are treasured. May God continue to wrap you in His loving arms as you journey life together. These songs are for you & Bob with much love and a BIG hug! !